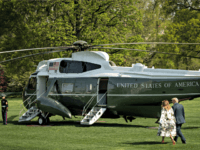 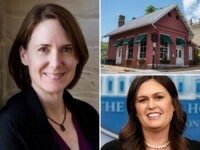 The Lexington, Virginia, restaurant that refused service to White House Press Secretary Sarah Huckabee Sanders reopened Thursday night to a crowd of protesters carrying signs. 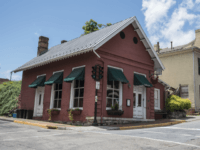 Reginald Scott See was arrested and charged with both littering and disorderly conduct for allegedly throwing chicken excrement at the Red Hen restaurant. 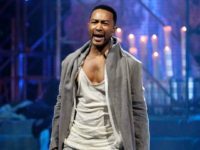 Singer and outspoken President Donald Trump critic John Legend launched into a profanity-laced rant Wednesday evening when asked about White House press secretary Sarah Huckabee Sanders being fat-shamed by actress Claudia Jordan. 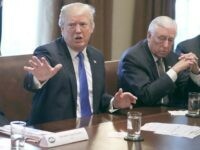 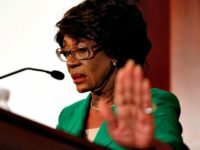 Rep. Andy Biggs (R-AZ) introduced a resolution on Monday to censure and condemn Rep. Maxine Waters (D-CA) after the outspoken Trump critic called for administration officials to be harassed. 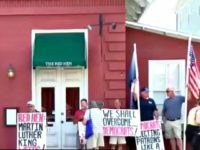 Stephanie Wilkinson, the left-wing owner of the Red Hen restaurant who kicked out Sarah Huckabee Sanders and her guests out on Friday night, has resigned from the Main Street Lexington business group.